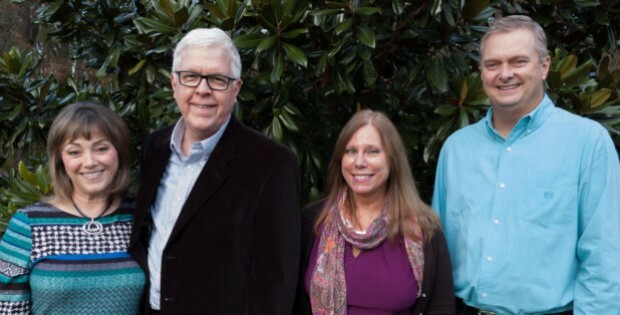 At Christian Counseling Associates of Raleigh we endeavor to integrate our Christian values and principles into each and every counseling session. We desire to walk closely with the Lord and stay in tune and in touch with his Holy Spirit as we seek to counsel couples and individuals that we pray He brings to us. Our Christian values are based on the great fundamentals of the Christian faith, all of which center in the person of Jesus Christ, our crucified, risen, and glorified Savior and Lord. 1. All men in their natural state are lost, alienated from God, and are spiritually dead: “All have sinned, and fall short of the glory of God” (Rom. 3:23). 2. Salvation is only by grace, a free gift of God, through faith in the Lord Jesus who died for our sins according to the Scriptures (1 Cor. 15:3). Those who thus receive Christ by faith have their sins forgiven (Eph. 1:7), their hearts cleansed (Acts 15:9), are born of the Spirit, become children of God (Jn. 1:12, 13) and are made new creatures in Christ (II Cor. 5:17). 3. God is One God Who reveals Himself in three Persons: Father, Son, and Holy Spirit. Jesus Christ, as the Scriptures affirm, is the Son of God and Son of man. He was born of a virgin and is Himself very God. The Scriptures also declare the deity and personality of the Holy Spirit. 4. Our Lord Jesus rose from the dead three days after he was laid to rest in the tomb (Jn. 20:25-27). The bodies of all believers who die will be raised from the dead, and they will receive an incorruptible body like His glorious body (I Cor. 15:53; Phil. 3:21). All other people shall be raised unto “the resurrection of judgment” (Jn. 5:28, 29). 5. Christians, born of the Spirit, are to live the new life in the present power of the Spirit. “If we live by the Spirit, by the Spirit let us also walk” (Gal. 5:16-25; Col. 2:6). The Christian’s responsibility and his normal attitude of life is to yield himself to God (Rom. 6:13), trusting God to keep him. 6. Christian “living” includes Christian service and ministry, and proclaiming the Gospel to the uttermost parts of the earth. In living the Christian life and carrying on this work there is needed the supernatural power of the Holy Spirit which is granted to every believer as he yields and trusts (Acts 1:8; I Cor. 12:7; Eph. 3:20; Acts 5:32). And in all of this service prayer is to have the central place (Jn. 14:12-14; Eph. 6:18, 19). 7. Jesus Christ will come again to earth the second time (Heb. 9:28), personally (Acts 1:11; I Thess. 4:16), bodily (Acts 1:11; Col. 2:9), and visibly (Matt. 26:64; Rev. 1:7). His coming will precede the age of universal peace and righteousness foretold in the Scriptures (Matt. 24:29, 30, 42; II Thess. 2:7, 8; Rev. 20:1-6).